The iOS version of AUPEO! Personal Radio, the music streaming app, has been compatible with the AppRadio for quite a while now. With AppRadio 2 approaching release the app's Android version has been updated to add AppRadio compatibility. You can read more about this update on the AUPEO! Blog by clicking here. With these AppRadio compatible apps adding Android-AppRadio 2 compatibility it begs the question: Where is AppRadio 2? Pioneer's second generation device has not yet been released and if the rumors are true it's been overdue by a couple of weeks already. What's Going On With Waze And AppRadio? 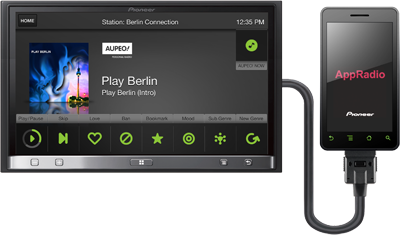 AppRadio 2 Available For Purchase In Europe/UK?